Seventeen Years. Wow, has it really been that long? Let’s be honest. I had no idea what I was getting myself into. If I could go back and impart some pearls of wisdom to my young, naïve self, I would tell her to relax and enjoy. 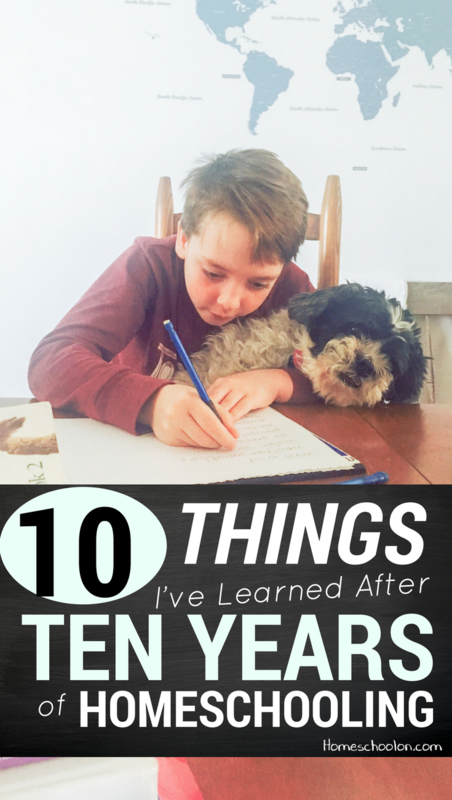 So, to all of you new homeschool moms, and veteran moms that need some reassurance, here are my Top Ten Things I’ve learned from 17 Years of Homeschooling. Are you a certified teacher? Did you even go to college?!? Sound familiar? Have you ever felt that you had to defend your level of education or competence to teach your children at home? You do not need a degree in education to properly educate your children. You do need a love of learning. Choosing to homeschool is a big decision; a huge responsibility. How can one mom possibly teach everything, for all her children, from K to 12th grade? Homeschooling pioneers did not have all the amazing options we have at our disposal. There were a handful of publishers selling curriculum to homeschool families. But, really it was just public or private school textbooks that could be used at home. Jump to 2018 and resources abound. We have traditional textbooks, unit studies, online courses, cyber school, hybrid programs, academic co-ops, elective co-ops, college dual enrollment; the choices are almost endless. Take a look at your own strengths and weaknesses. What do you love to teach and what would you avoid like the plague? Research what is available to you and use those resources to give your children the education that you, and they, want. 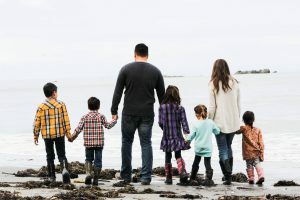 The majority of homeschool parents attended public school. That public school mindset can be difficult to erase. Are they really learning if they’re not sitting at a desk for 5 hours every day? Can reading great books aloud on the couch and playing math games count as school? Yes! A few of my kids were workbook kids. They loved the sense of accomplishment they felt from filling in all of the blanks. A smiley face, sticker, or later a grade, had to be placed at the top of the page to show my approval. Then there were the others; who saw those workbooks as a form of torture. For them, discussion and debate were their strengths and approval came in the form of a high five. Were both groups learning? Absolutely! My way of documenting their learning was the only thing that had to change. Spring is upon us and with that comes all the new curriculum catalogs, curriculum fairs, homeschool conventions, and a dwindling bank account. Every new textbook, for every grade, and every subject calls out to us like sweets to a child in a candy store. They all proclaim to be the best, the most advanced, the easiest to use. Just open and go, no prep necessary. The temptation is overwhelming. But what do you really need? What have you used and loved? What have you (and your kids) hated? Ask friends with similar homeschool philosophies. What do they suggest? Make a list of the things you “absolutely cannot live without.” (For me, it was a math curriculum. I wanted a definite scope and sequence for mathematics to be sure that all the bases were covered.) Pick what you need and love and ditch the rest. 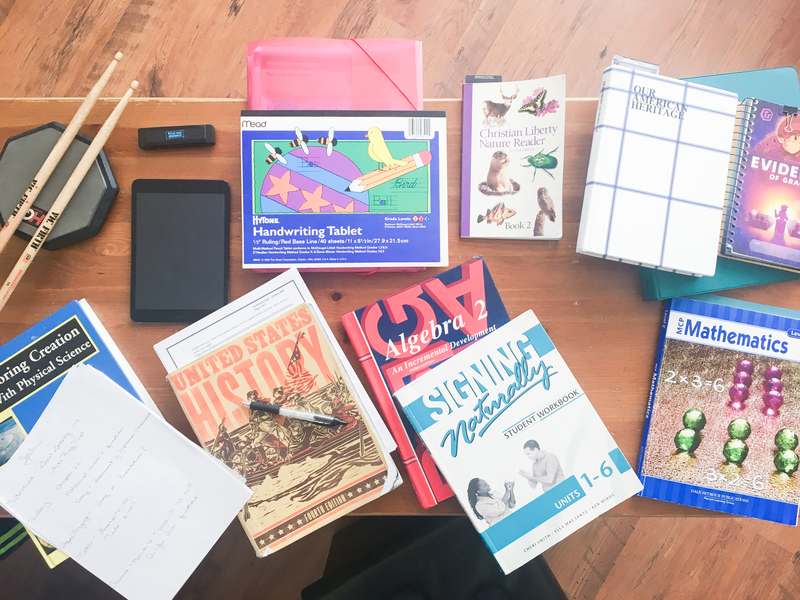 The internet, a printer, and the library can be your best friends when looking for an inexpensive way to homeschool. It’s a cold, dreary February morning. Everyone is slow to wake and even slower to be functional. Normal morning pleasantries are nonexistent. Mom’s planner shows some pretty high academic aspirations for this morning, but the whining and groaning from the children is even louder than the howling wind outside. A Time-Out is in order. Nothing good can come from trying to plug along and push through this contagious brain fog. Make some hot chocolate, grab some blankets, pillows, and your favorite read-aloud. Find a good documentary on Netflix. Listen to some favorite music while playing a board game. All of us need these days periodically. Don’t be afraid to take one for yourself and your kids. All will be better for it. I said it. The “S” word. Unless you’re living under a rock, you don’t have to worry about socializing your kids. They go to stores and parks and church and sporting events and interact with people across all walks of life. But, Mom…you need some girlfriends. Join that local homeschool group that goes bowling or roller skating. The kids will love it and you will get to be with other like-minded adults. Go to a mom’s support group or start one. All of us need time to talk to, support, and be supported by, other women. Your kids and your sanity will thank you. 7. Yes, they are all ours and yes, they are all different. My first two boys went to a sweet, little church preschool two mornings a week. They had story time, outdoor play, time with their friends, and I had time with my two little girls. One son loved it, and one did not. To make matters worse, the teacher noticed how different the boys were and frequently commented on it. All I could think was that she had been teaching for 20 years and never had siblings with different personalities? This was when I decided to do my best to not play the comparison game. It is not good for anyone. It is unfair to the children and adds undue stress and worry to Mom. We used to listen to the stories on the playground about how Johnny was reading Pilgrim’s Progress at five years old; now we see pictures of award winning science projects on Facebook and Instagram. Social media has taken this game to an entirely new level. We had five children in seven years. (our sixth was a tag-along six years later) They have many similarities, such as being quick witted, sarcastic, and sports minded. Their differences are also very noticeable. We have introverts, extroverts, methodical planners, and creative free spirits. One learned to read at four years old and another at eight. You would never be able to tell now. Don’t let your Mama’s heart worry for one minute what someone else is doing. Each of your children will grow and develop at their own pace, in their own way. Enjoy every step! Think of all the character traits that you would love to instill in your children. When we have more time with our children, we can focus on encouraging those positive traits that will serve them well later in life. Diligence, perseverance, and attentiveness can all be presented in relation to your child’s school work. Spending all day with your family will provide many opportunities to develop compassion, flexibility, forgiveness, and tolerance. There will be days when academics will take a back seat to character building. Conflicts will arise, and our children must learn to handle them in a positive manner. Don’t fret if a day’s lesson plans must be pushed aside to focus on behavior and relationship building. Remember, your goals. We want our children to be kind, compassionate, mature, responsible adults. Can they get a high school diploma? Do colleges accept homeschoolers? How will they be successful in a university setting? Have we taught them everything they need to know? Are these some of the thoughts that keep you up at night? If you have given your child a strong foundation in the basics, they are prepared. 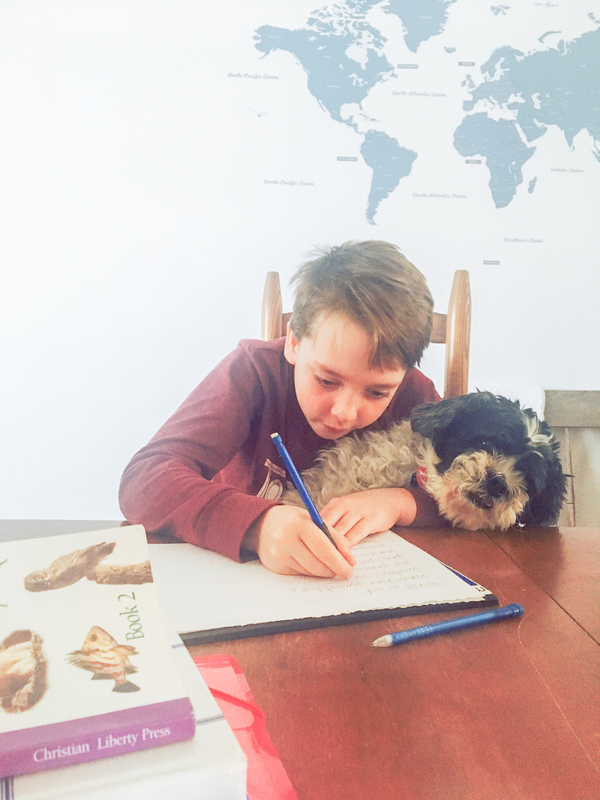 A major advantage of homeschooling is that our kids know how to learn. By high school age, most homeschooled students are strong, independent learners. Colleges are taking notice of how successful homeschooled students are. Not only are they accepting homeschoolers, but also offering scholarships. We tried to prepare our children for college, if they wanted to go. We know that it is not for everyone and encouraged our kids to get part time jobs when they were in school, so they would be familiar with different career opportunities. Four of our children have graduated high school; three of them are in college and one is working full time. The oldest will receive his MBA next month. 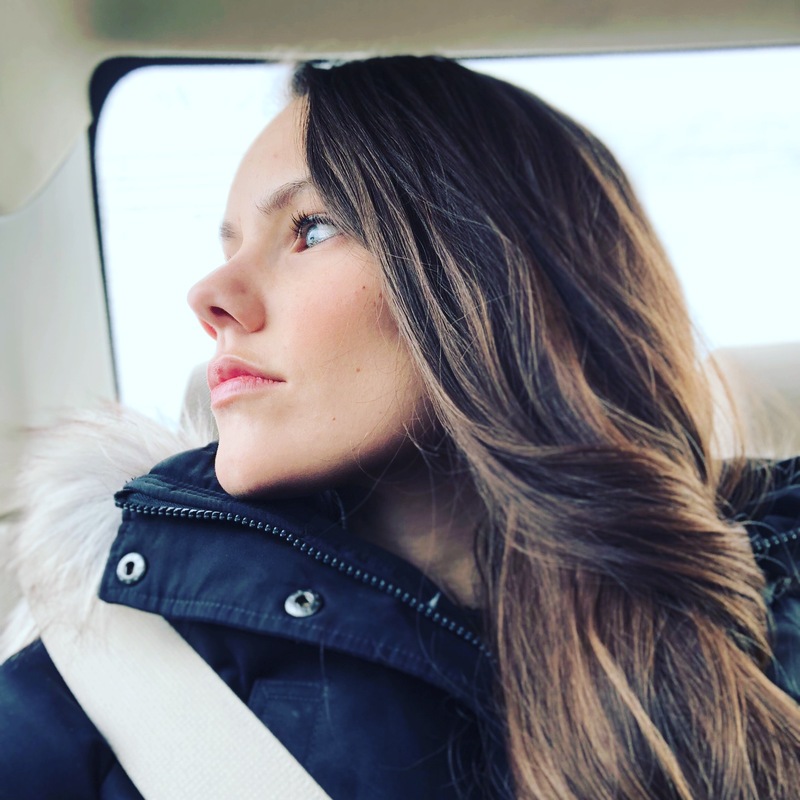 They have each maneuvered through their high school years in a slightly different way and are all doing very well. I tell their stories, not to boast, but to give hope and peace of mind. It is possible to homeschool all the way through high school and put them on the path to future success; no matter where that leads. 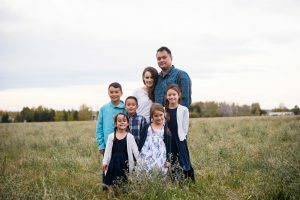 All over Facebook and Pinterest you will see cute, sappy sayings reminding us to appreciate this time with our children, and how we will one day miss the chaos. But, if you take away all the mushy sayings, guess what? IT’S TRUE! Being able to teach our children at home, spend more time with them, and cultivate deeper relationships, is such a blessing. Seeing the ah-ha moments when a difficult concept is finally understood, watching an older child reading to a younger sibling, and taking an impromptu trip to the park just because it’s too beautiful outside to study algebra, are the moments you will cherish. So, pour yourself another cup of coffee, gather your kids, grab a great book, relax and enjoy! Build Your Bundle GIVEAWAY on now! Encouraging words that keep it all in perspective! Character is key! These parents are the real deal, and we’ve always, always marvelled at the great people they’ve “produced” and nurtured all the way. If my kids were school age, after watching Nicole and how she has accomplished this, I would most likely have seriously considered homeschooling. It was a different time, but I believe maybe we could have done it. Barb, does this lady have a blog? I do not at this time. Hoping to have a Facebook page up and running soon that will focus on similar topics. 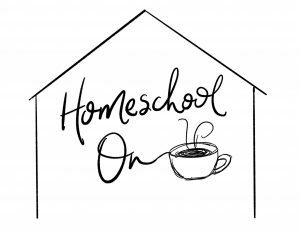 You’ve been homeschooling much longer than I have, and your blog post was just what I needed. So thank you. I look forward to your FB page. Will def love to be added to your fb page when up and running. 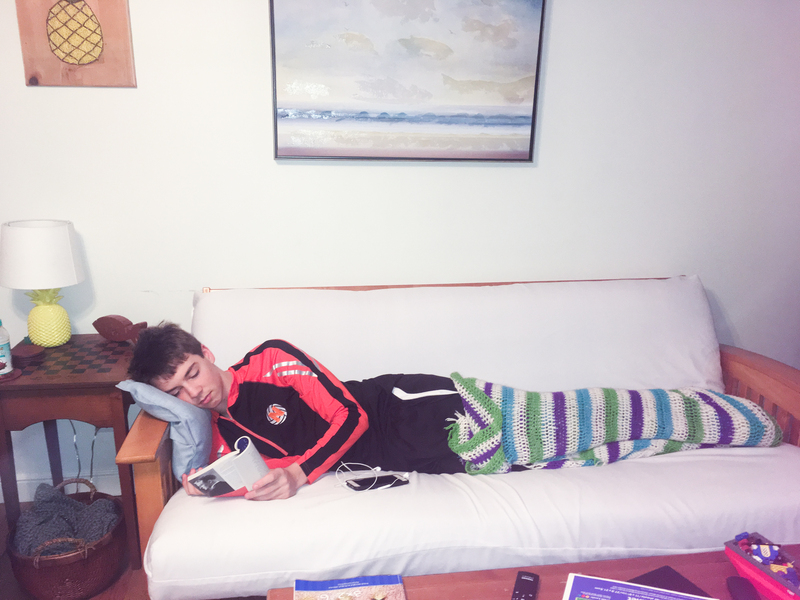 Love the Relax and Enjoy! This is such helpful big picture advice. It’s exactly what I need to read a few years into my home school journey. Thank you! Yes, I was that mom (and still am to a certain extent) who wondered and worried. My oldest son just turned 18, managed to do well on the SAT, get accepted to college, and will attend having already earned 16 credits from the university he will be attending before he even officially begins (with a 4.0 in those classes). Praise God. Congratulations to you and your soon! Thank you for this! I’ve been homeschooling for 15 years and all of these ring true for me as well. Wow. Can relate.Thanks for the good words. 25 years of marriage this year, 5 kids, 18 yrs of homeschooling and so often running on fumes . . . ups and downs, triumphs and struggles. Plagued by guilt, constantly interrupted schedules that sometimes seemed to take half a year to sort out, mishaps, wrong choices, pet loss, friend loss, ministry/financial struggles, more moves than we care to mention, hard work and one crazy uphill climb that still isn’t over .. . Didn’t end up at all like we planned when we started, but when we look at what happened we are humbled and thankful. Oldest graduating with honors from college and marrying another homeschool grad soon, next two hoping to actually make it through college, but smart and creative in their own unique ways and can make killer desserts, . . . and so it goes. It was never perfect and it didn’t go like we thought it would at the beginning. We aren’t the family all lined up and squeaky clean with awards and honors hanging on the wall behind us.We have blessings and we have issues. We are surviving, but blessed. And, yes, we would do it again. Thank you so much for this! We are just starting out on our journey and I needed this more today than ever! Yes!!! All so true! Thank you for answering common homeschool fears and doubts with tried-and-true answers. Thank you for sharing your journey.. Remember that the Warriors were going to sign Calderon last year, but then KD got hurt so they signed Matt Barnes to fill in for him. So the Dubs were going to sign him, Koby saw that they couldn’t do a repeat of the previous year with no back up point guard and then signing the ghost of D Will, a disasterpiece.